Here is kind of a family tree: La Cage aux Folles was first a play (1973) by French actor Jean Poiret, then a movie (1978). The movie was one of the most successful foreign films ever released in the U.S. Then, Jerry ( Hello, Dolly; Mame ) Herman created the musical (1983) that captured six Tony Awards and three Drama Desk Awards. Of course, there is the movie, The Birdcage , 1996—Robin Williams, Gene Hackman… And the musical’s revival in 2004. Colgan has directed La Cage aux Folles as it was first seen on Boradway. “We are doing it the traditional way, which is about an illusion. We want the audience to be guessing which are male and which are female. It’s not about transsexuals; it’s about illusionists. When they’re off stage, they’re just people,” Colgan explained. Brad Vieth, music director, said he though this was Herman’s best crafted show. “Transitions going between the scenes are so seamless you don’t even realize there is a song, they’re so integrated,” he said. Vieth, who was also music director for the Art Center’s performance of Camelot , is on the faculty, along with Coglan, of AMDA, the American Musical and Dramatic Academy in New York. Vieth is also impressed with Herman’s ability to freeze a moment in time, then take that moment to expose an emotion we can all share in common. “For instance, there’s this older married couple [George and Aldin], singing about the song they used to share. It’s called “Song of the Sand.” They bring themselves spiritually together, when they first fell in love. It’s particularly poignant because there’s been a lot of conflict in their relationship. The song is a temporary balm, because you know there will be another flair up. But they’re saying we’ve gone through all this stuff, but we can still find that sacred space for ourselves, when we first met. It’s blatantly romantic, but at the same time it’s a little bittersweet because of what’s going on—the conflict,” Vieth explained. The “conflict” is the fact that Jean-Michel does not want Aldin to meet Anne’s parents. Of course there is more. There is Jacob, played by Antyon Smith (one of the seven AMDA students in the production), who is “handmaiden/butler” to the family. Smith said he wants to be a star; he causes a lot of trouble, and has a lot of fun with it. Anne, who has not be told by Jean-Michel about his family, braves through it all, but not without a few bumps. Erin Elizabeth Coors, who plays Anne, said she becomes more of herself in the end, but it’s a struggle for her. She truly loves her parents. The character of Anne includes the “sweetness” Colgan talked about. He said she was perfect, noting that she had played Barbie, yes, Barbie in “Barbie Live,” when Mattel, Inc., took to the road in 2006. Actually Barbie played an actress in a play about…this could get complicated. 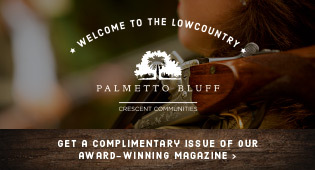 As an interesting sidebar, until Coors was about 11, her family vacationed at Palmetto Dunes Resort. She admitted she brought her Barbie dolls with her. Saunders grew up on Hilton Head Island, went to Hilton Head High School for two years, then transferred to the Governor’s School for Arts and Humanities in Greenville to study acting. After graduation, he performed in a local theatre group on the island and is now a scenic carpenter at the Arts Center. Critics of the 1983 production used words like “glitz,” “showmanship,” “good cheer” and “unflagging tunefulness” to described La Cage aux Folles . Some critics even claimed it was the last musical for a decade where the audience would walk out humming one of the tunes. Colgan agreed. In fact, disco diva, Gloria Gaynor made a hit from the show with her rendition, a “club version,” of “I Am What I Am” in the 1980s. If there is a stand out in the show, it is Zaza, the star of La Cage aux Folles. No, not the musical, the… well, he is the alter ego of Albin, the star of La Cage aux Folles, the show in the club. See, he… never mind. If you don’t mind a great musical score, wonderful acting, dancing and singing, and an armful of glitz, go see the show. It’s all about family.